The Universal Monsterverse continues to expand today as Variety reports that Academy Award winner Javier Bardem (No Country for Old Men, Vicky Cristina Barcelona) is in talks to play the new Frankenstein (or, to put it pedantically, the new Frankenstein’s monster). Where the new Frankenstein will first appear, however, is currently a mystery as the monstrous creation could make a cameo appearance as early as in Alex Kurtzman’s The Mummy. The June 9, 2017 release is nearly done filming and you can check out images from the production (including shots of Sofia Boutella as the title monster) in the gallery viewer below. After The Mummy, the Universal Monsterverse has dated mystery features for April 13, 2018 and February 15, 2019. It is believed that the first Frankenstein-centric film will be an updating of the classic big screen sequel, Bride of Frankenstein and, while it’s far from a confirmation, it’s worth noting that 2018 will mark the 200th anniversary of the original Mary Shelley novel. Assuming he takes the role, Bardem’s new Frankenstein monster will join a lineup that also includes Johnny Depp as the Invisible Man and Russell Crowe as Dr. Jekyll and Mr. Hyde. There is also a new Wolfman movie on the way that is allegedly courting Dwayne Johnson to headline. Fargo executive producer Noah Hawley is also said to be writing another one of the films in the series, with Prisoners scribe Aaron Guzikowski penning the reboot of The Wolfman. The new Universal Monsters movies are said to be part of the studio’s “New initiative to revive and reimagine Universal’s classic monsters for a modern audience.” All the films in the series will be produced and overseen by the creative team of Alex Kurtzman and Chris Morgan. 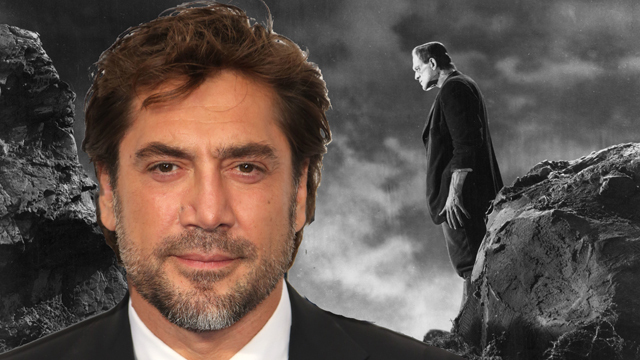 How do you like Javier Bardem as the new Frankenstein monster? Is there anyone else you would have cast in the role? Let us know in the comments below!